This was only the second trip for my stitch and glue kit boat, Pinguino. That beautiful shiny wood deck you see stretching out in front of some videos is what this boat looks like all over. The boat performed beautifully on this flat water, slow moving river trip. You can find out more about Pinguino in the menu above. This was my first paddling trip in nine months. Last March I blew out my lower back hauling boats. It was the end of a process of back issues that were years old. I couldn’t stand up for more than five minutes, let alone walk any distance or paddle. 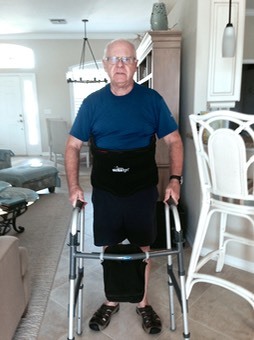 In August I had the lower two vertebrae fused with a titanium rod and went through a period of recovery and physical therapy. I had only paddled three short day trips before this adventure. 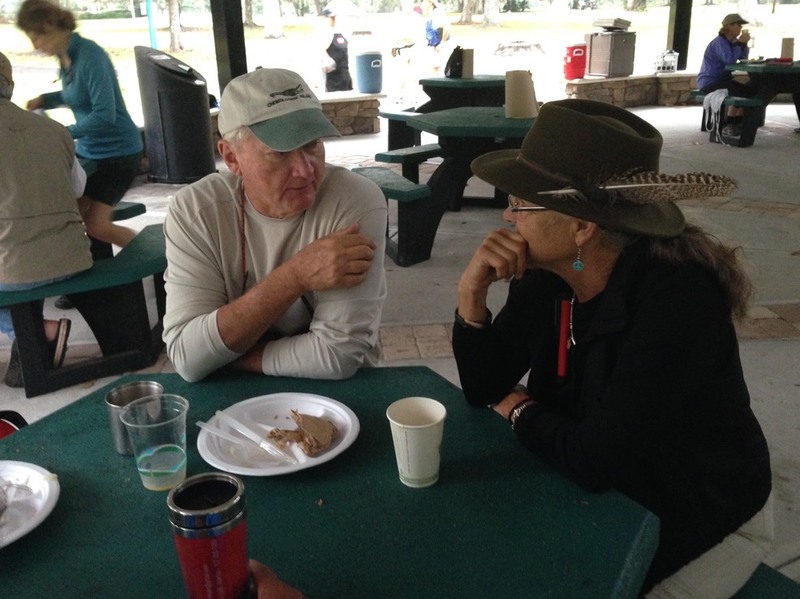 Day 0: Arrive at Wekiwa Springs State Park, register, get comfortable in a cozy cabin. 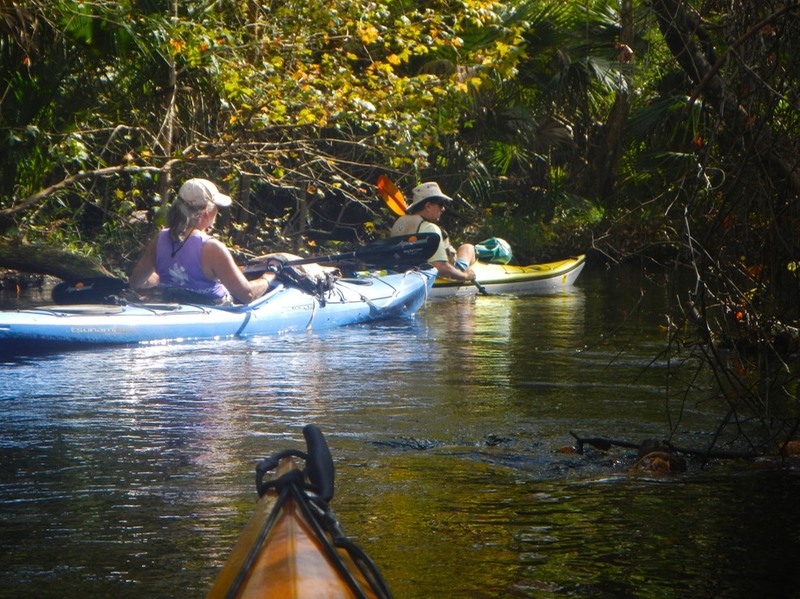 Day 1: Shuttle to Kings Landing, paddle back to Wekiwa Springs. 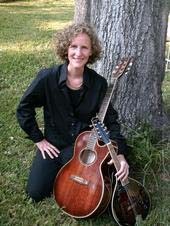 Be entertained by Katherine Archer after dinner. 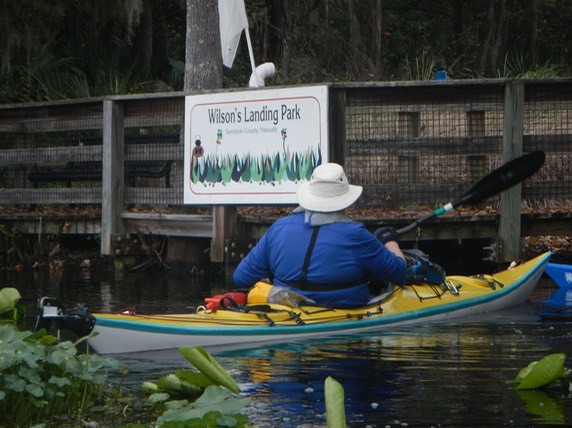 Day 2: Paddle from Wekiwa Springs to Wilson’s Landing County Park, set up tents before dinner. Day 3: Paddle from Wilson’s Landing to Blue Spring State Park, pack up gear and head for home. I chose this trip because it is a good “beginners” trip and I really love this river. It’s scheduled as a four day activity, but is really only three days on the water. And the daily paddling distances are short (8.5 miles, 9.0 miles and 13.0 miles). In addition, we sleep in cabins for two nights and in a tent only on the last night. I was concerned about crawling around and sleeping on the ground in a small tent. Should this be a problem, I figured I could handle one night. 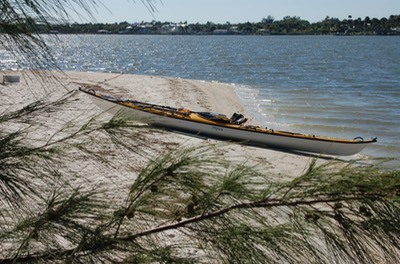 My final reason for specifically choosing a Paddle Florida Trip was that Paddle Florida prepared and served all of our meals, hauled all of our gear and were ready, willing and able to help if I got into any kind of a medical problem. 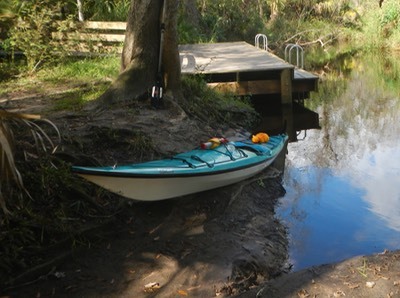 Most of my trip report videos are about days on the water on the beautiful Wekiva River. Overall, our weather was marginal. But Friday,our arrival day, was sunny and pleasant. 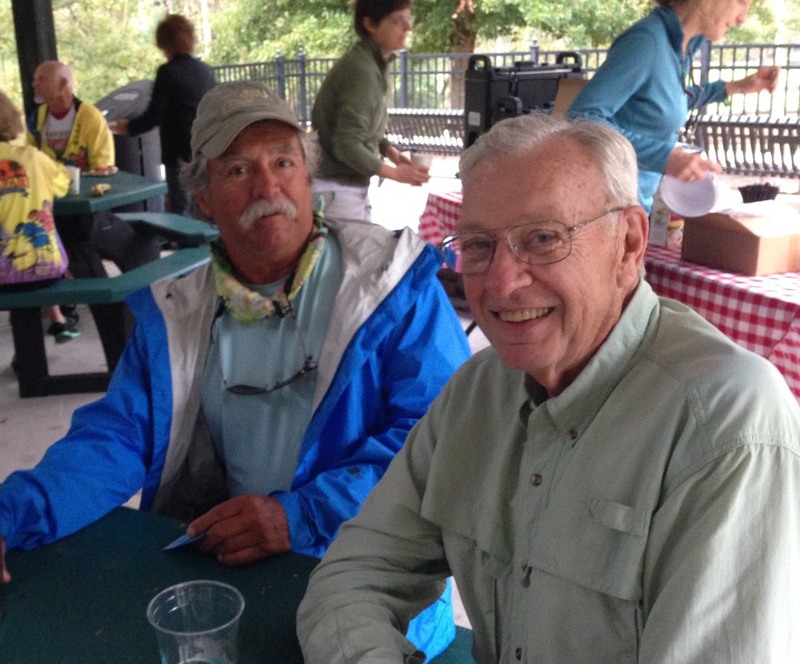 Scott Keyes asked me to bunk with him, Paul Westbury and Gerry Groebe. I really appreciated the invitation and enjoyed their company throughout the trip. 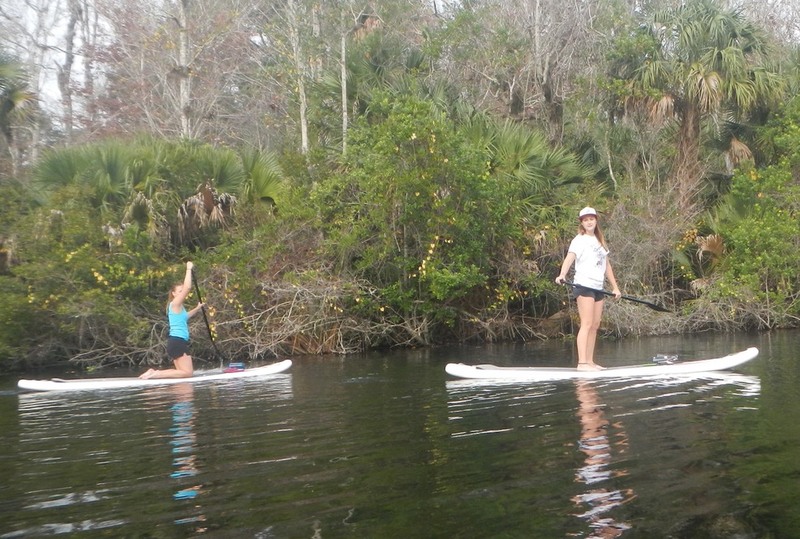 We had cool but pleasant weather on Saturday for our first paddle from Kings Landing back to Wekiwa Springs State Park (see video below). After a beautiful paddle there was time to relax, talk and take a hot shower in our cabin. 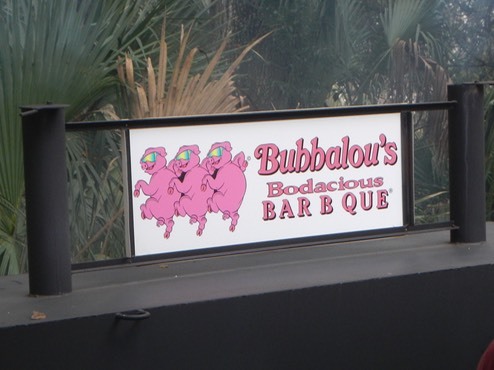 We had a great barbecue dinner put on by “Bubbalou’s Bodacious BAR B Que”, followed by a great concert by Katherine Archer. Katherine is a Florida based folk singer-song writer who writes with great passion about the environmental issues addressing the state. The video below illustrates one of her playful songs with a serious point. Our second day on the river dawned cold, gray and overcast, threatening rain. I suited up as if expecting a monsoon and was glad I did. It never rained, but the sun never showed up either. 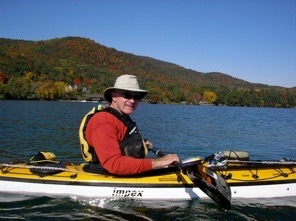 That, combined with the cool temperature and a biting breeze convinced me that the paddling jacket was the way to go. These young women paddled most of the trip on stand up kayaks. Are they adventurous, crazy or just youthful? There was less wildlife to be seen on this day and some paddlers seemed to bunch up, at times causing traffic jams on the river. Their loud talk and the banging of paddles on kayak hulls pretty much guaranteed that any wildlife that might be around would be hiding. Still, the river was beautiful and I was glad I was there. Second day on the river, cool and cloudy. It didn’t take long to get to Wilson’s Landing. The first boats arrived a little past noon. As I approached, I was anticipating setting up my tent before any rain might arrive, only to find that there had been some miscommunication between the higher ups in the county parks department and the folks on the ground. They weren’t expecting us. We couldn’t set up until after 4:30, as a hundred children were expected for a mega birthday party! Some folks hearing this got back in their boats and paddled to a local saloon, spending the afternoon imbibing and taking in the local color. Others of us (the non-drinkers) just hung around until the father in charge of the party relented and told us there was plenty of room for everyone so we should go ahead and set up, which we promptly did. I set up my tent, called home and crawled into its warmth to test my new Big Agnes air mattress. I promptly fell asleep until dinner! The next morning was even colder, grayer and more threatening than the last. It had rained overnight. The tent was wet outside from the rain and inside from condensation on the underside of the rain fly. But I was dry and conditions like this are what makes for an “adventure”. I suited up again as before and started back out onto the Wekiva in a misty rain. The video below tells the story. On our last day, cool weather, misty rain and wind. After our arrival at Blue Spring State Park, we packed up our gear for the trip home. 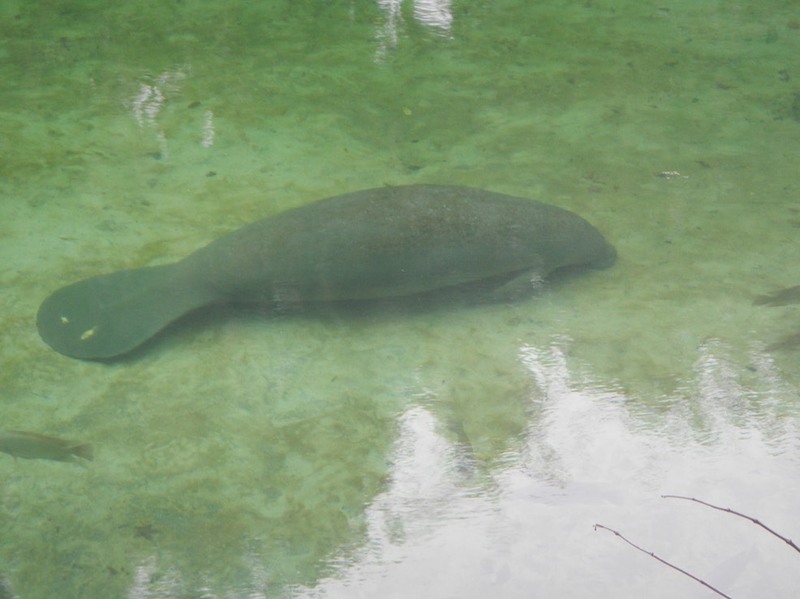 But we still had time for one final barbecue…..
…..and a stroll by the spring to see the manatees. It was a great re-entry trip for me!